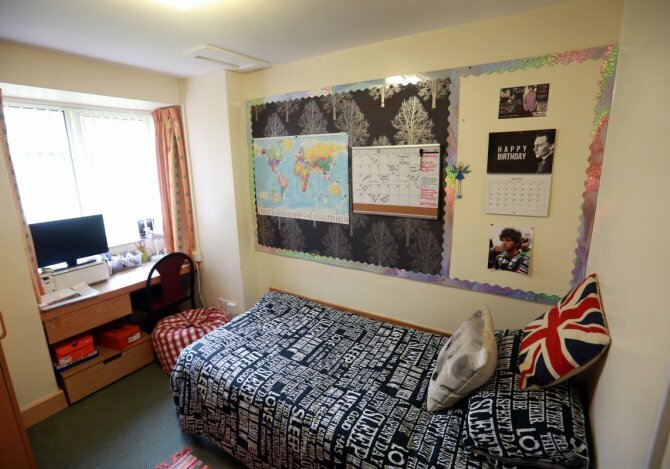 Brampton Road Halls of Residence, Carlisle, Cumbria, sleeps 5-113 in 113 bedrooms. 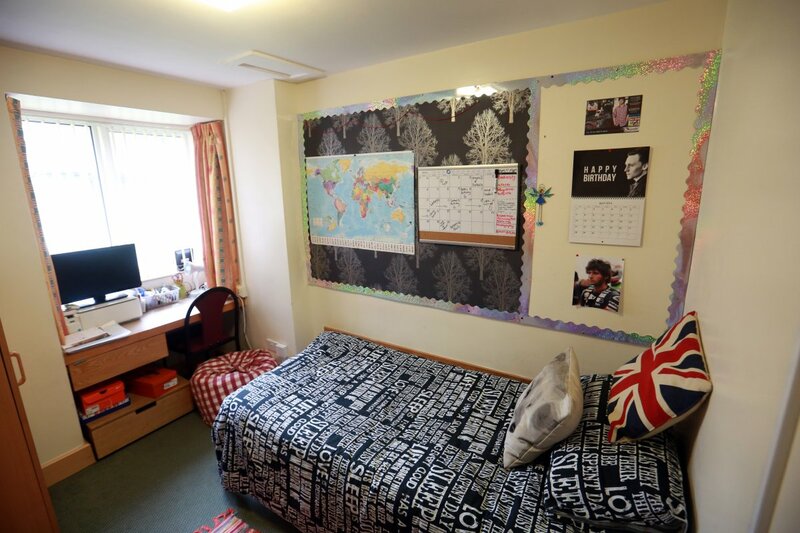 The accommodation is situated in Carlisle, close to all major attractions in Cumbria as well as both University campuses. There are good transport links from the property, with bus stops right on the doorstep and the train station nearby. The city centre is only a 20 minute walk away from our accommodation. We are also located moments away from the Carlisle Castle, Tullie House Museum and the Carlisle Cathedral. 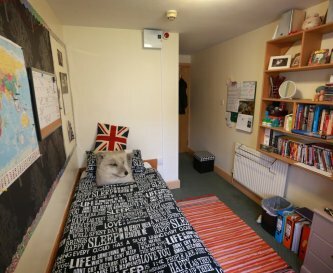 Brampton Road Halls of Residence offers secure accommodation in either completely self-contained, or classic flats that are perfectly suited for our clients. 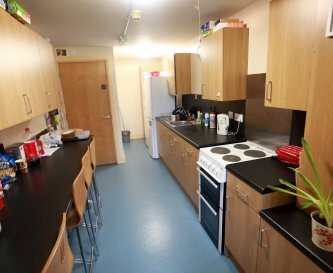 There are 6 or 7 bedrooms per flat, 37 bedrooms have en suite facilities and 76 have shared bathrooms, all properties have access to a shared kitchen and lounge. - Barbecue nights available on request (minimum 7 days notice). 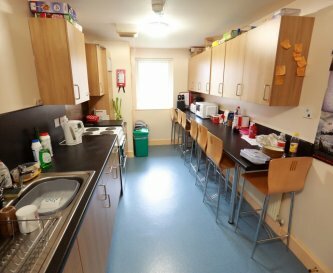 Kitchen with self catering facilities to prepare, cook and heat food. 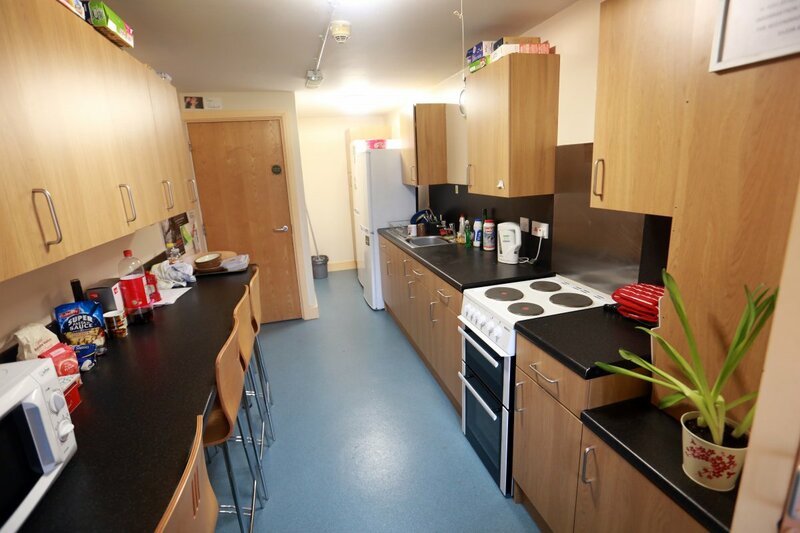 Each flat has a dining area or breakfast bar for self catering. Full board catering may be available - please check when booking. Dining/seating area in each flat. No TV or music facilities available. WiFi service provided free of charge (a premium service is available at an additional cost). 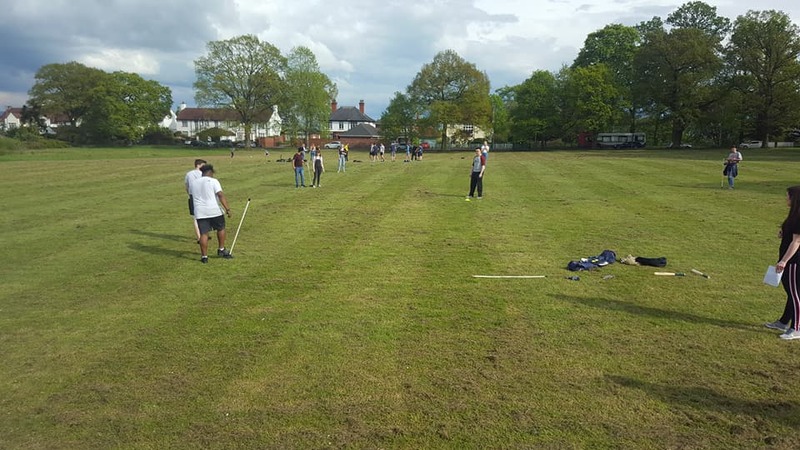 Classrooms and outdoor area can be booked out for communal activities. 37 en suite bedrooms and 76 standard. All our rooms boast a desk, WiFi and Ethernet connection plus wardrobe and drawers. When you stay with us we provide you with bedding and towels. En suite room has shower, WC and vanity sink. Standard room includes a sink in the room and shared shower pods with WC. 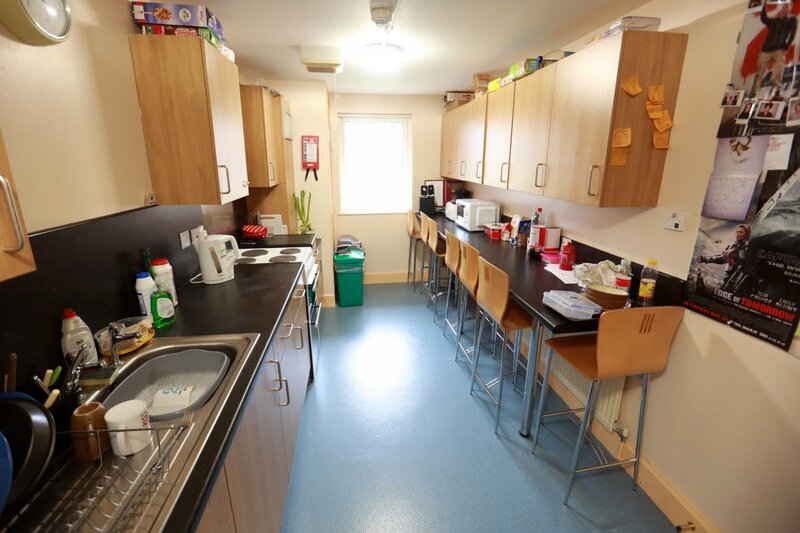 We have adapted rooms for guests that have mobility or hearing impairments. Please contact us for more information. No specific facilities for children, but there is plenty to do in the city, inc soft play, bowling, cinema, rock climbing and trampolining plus more. 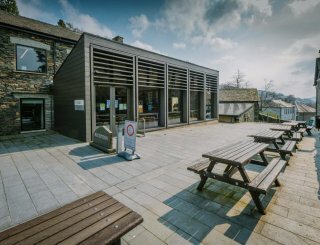 We have a green space outside of the main reception which has benches on it and is a great space to have a picnic or chill out and relax. No pool on site. Carlisle swimming pool (Carlisle Pools) is a 9 minute drive away. No smoking except in the designated smoking areas. No pets, however guide dogs are welcome. Located in Cumbria, Carlisle is the City of the Lakes. 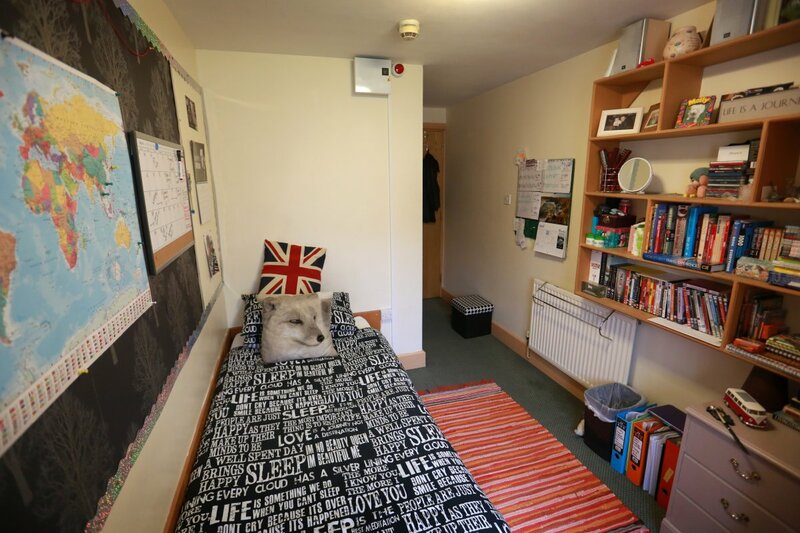 The campus is close to the J44 of the M6 and just a 7 minute taxi drive from Carlisle Train Station. 30 minutes drive to the Lake District (England's largest National Park and also a World Heritage Site), 1hr drive from Newcastle, 1hr drive to Glasgow and 2.5hrs from Manchester. The nearest large supermarket is Morrison's on Scotland Road a 10 mins drive from the Campus. There is also a Sainsbury’s Express on Scotland Road approximately 7 mins walk. 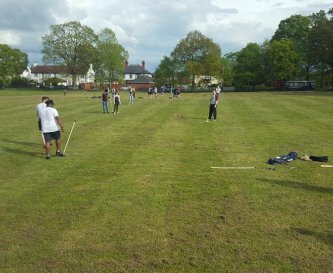 Stanwix Tandoori, Spider and Fly, The Crown Inn and The Crown and Thistle Inn are all approximately a 6 minute walk from Brampton Road Halls. This property is available in July and August and early September every year. To book outside of the above please contact a member of our team. Carlisle Train Station is 1.5 miles away. 230ft from the front of the Campus. 55 miles - Newcastle Airport, 102 miles - Glasgow Airport, 127 miles - Manchester Airport.